This word search A day at the beach has 7 hidden words. The subtitle of this worksheet is "Circle and write 7 things you see at the beach. ". 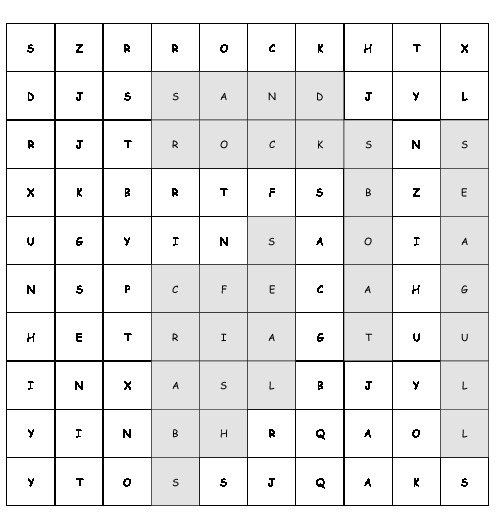 This word find is 10 x 10 size. This Word Search has been checked automatically on 20th April 2019, 09:59. No errors were found. You can download this word find A day at the beach as a worksheet (PDF, 243 kb) for free and use it in your lessons (school) or wherever you want. This word puzzle A day at the beach is listed in this free Word Search Database since Friday, 5th May 2017.